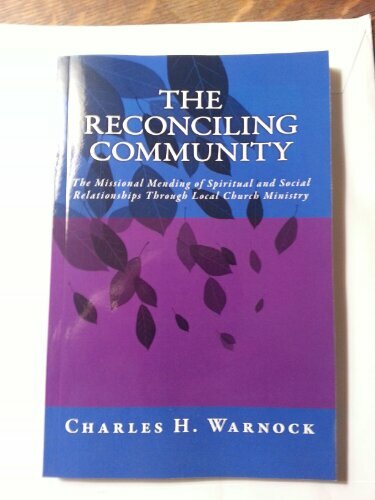 My new book, The Reconciling Community: The Missional Mending of Spiritual and Social Relationships through Local Church Ministry, is now available on Amazon in both print and Kindle versions. If you would like a copy to review and post on your blog and on Amazon, I’ll have 20 print copies available next week to send to reviewers. A review can be a short impression of the book, or a longer in-depth analysis. Message me on Facebook with your mailing address and I’ll get the book out to you next week. Note: the current Kindle version does not have a clickable table of contents. I’ll fix that this weekend, so hold off purchasing the Kindle version until that’s fixed. Thanks! Before social media, a snail mail letter to the editor of your local newspaper was about the only way to make your voice heard. Now Facebook, Twitter, Pinterest, Instagram, WordPress, and Google+ make it easy for anyone to shout out their opinion on any topic, at any time. In fact, social media might make it too easy for us to let everyone know what we’re thinking at the moment. That may be fine for most folks, but some politicians and celebrities have lived to regret exposing their thoughts, and other things, to public scrutiny. Just ask Anthony Weiner. Like politicians and celebrities, pastors should exercise some caution with social media, too. Although we’re not running for office, we’re always in the public eye in our own circles of friends, colleagues, and fellow church members. When I started blogging seven years ago, almost no one in my small town of 1200 people read my blog. For a while I enjoyed my local anonymity because I was able to express opinions on topics I never would have addressed in a Sunday sermon or Wednesday night Bible study. However, as my local readership increased on my blog, Facebook, and Twitter, I began to rethink my previous reckless “opinionating.” I developed some personal guidelines to regulate my social media posts, tweets, and status updates. 1. Is this an ethical issue or just a pet peeve? Like lots of folks, I have an opinion about most things. However, I have discovered I don’t need to weigh in publicly on everything. 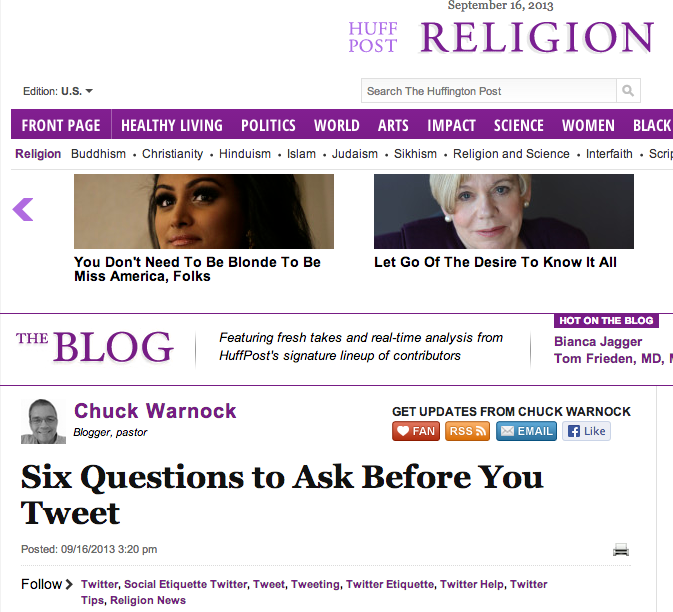 I now restrict my blog posts to church ministry topics, and my Twitter and Facebook updates to church or ethical topics. Of course, that doesn’t count the times I am just goofing around on social media, but I play that safe, too! 2. Can I influence the situation? If I can’t have some influence on a situation, I have decided there is not much point in my commenting on it. Therefore, I never write about the latest Federal Reserve Bank efforts to jump start the economy because there is nothing I can say to influence the Fed’s action. You get the point. 3. Have others spoken out who are more credible or qualified than I am? My example in #2 comes to mind here, too. No one cares what I think about quantitative easing or economic stimulus. Those topics I leave to the experts, the pages of the New York Times, and other esteemed sources. If somebody more credible than I am is addressing the issue, I probably don’t need to add my two cents worth. 4. Do I have something constructive to offer? When I first started blogging, I quickly fell into what I call “blogger’s syndrome” — posting righteous indignation and scathing opinions eviscerating others who disagreed with me. One day it occurred to me that anyone can rant, but I ought to be offering positive perspectives and solutions. I deleted more than one blog post after coming to that decision. Now I try to offer a positive solution, outlook, or suggestion, and I don’t attack individuals or groups. I know it is a cliche’, but I decided that I would actually be the change I wanted to see. In other words, the way to peace is the way of peace, to paraphrase Thich Nhat Hanh. 5. Am I willing to risk my friends, my reputation, and possibly my job by taking this position? What do you do when there is an issue so compelling that you must take a public stand? I think then you heed the words of Jesus from Luke 14:28b — “Won’t you first sit down and count the cost…?” If you take a public stand, are you ready to risk your friends, your reputation, and possibly your job as pastor? Sometimes the answer to that question has to be “Yes!” However, most of the time, it’s not. I’m not encouraging cowardice, just awareness that public positions also have personal consequences. 6. What am I personally doing now to change the situation? Finally, before I write about an issue, I reflect on what I am doing to change that situation. Call this hypocrisy-avoidance, but if I am not willing to “put some skin in the game” as the saying goes, maybe I ought not to comment. Since developing these questions, I am enjoying blogging, tweeting, and Facebooking more than I used to. I notice that I regret fewer posts, delete fewer tweets, and in the process have increased my readership. If the unexamined life isn’t worth living, according to Socrates, then maybe the unexamined opinion isn’t worth tweeting either.